-Granary: pronounced (grey-nuh-ree) a storehouse or repository for grain after it has been threshed or husked. -Basis: The difference between the Chicago Board of Trade and the price you can get at a granary. -Selling on the "Spot": The seller delivers the commodity to a buyer and takes immediate cash payment in exchange. Advantages: A cash or “spot” sale removes all price fluctuation. -On Farm Storage: The farmer hauls grain from the combine to their own on farm bins. On farm bins are typically used to speculate on the possibility of rising prices. Grain is hauled to an elevator at a later date. Disadvantages: Without proper drying or blowing the quality of the grain can deteriorate. If the farmer does not hedge the grain, they are taking a huge risk by remaining purely speculative. Yes, the market can go up while your grain is in the bin, but it can also go down. The grain is also subject to basis loss or basis improvement. Farmers who own bins must pay for the bins, their upkeep, electricity, and provide the labor for sweeping the bins. 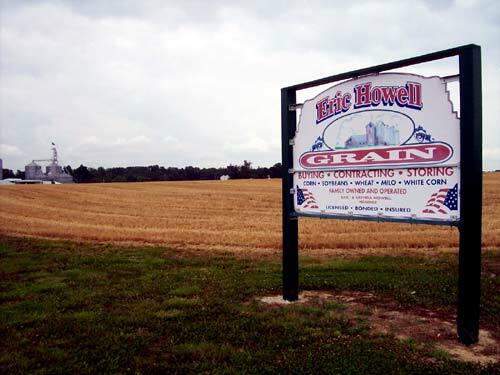 -Off Farm/Hired Storage: The farmer delivers grain to a commercial facility and pays a fee for storage. The job of maintaining the grain’s quality is placed in the hands of the granary. This method allows the farmer to remain speculative. Neither price nor basis levels are fixed. The granary is responsible for bin payments, upkeep, electricity, and labor. *With both forms of grain storage, the farmer retains title of the grain. Therefore, they can continue to participate in certain government programs such as LDP. Something that farmers should consider when storing grain is interest expense. 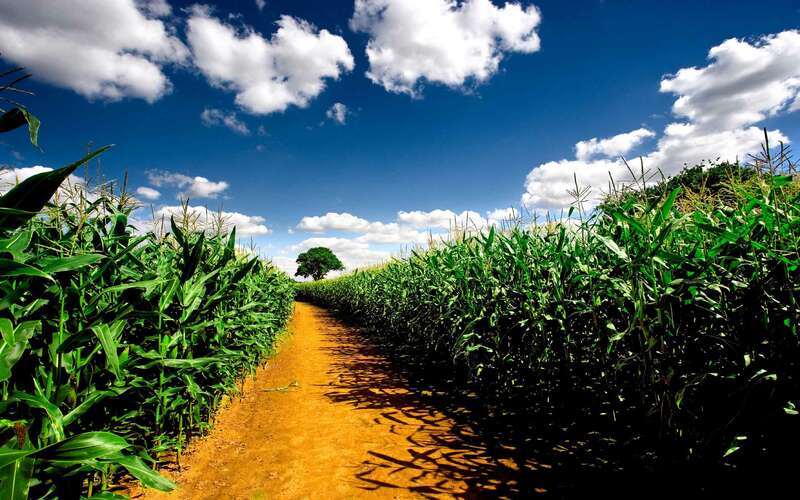 If a farmer has borrowed money to put out the crop and still owes money when the grain is put into storage, they are speculating that the market is going to go up enough to make them more money than they are paying in interest on their loan. -Speculate: To engage in any business transaction involving considerable risk or the chance of large gains and conversely the chance of large losses. To buy or store commodities without hedging the grain, placing a futures contract for the grain, or hedging the grain with a “PUT” option. -Hedging: Taking opposite positions in two different markets with equal quantity commitments so that losses in one market are offset by gains in the other. The two markets are the cash market and the futures market. Hedging provides protection against price change for both buyers and sellers of commodities. Hedging is a type of insurance in this volatile market. The owner of a physical commodity (the grain could be growing in the field or in the bin when a hedge is placed) hedges against price change buy “selling” futures on the Chicago Board of Trade equivalent to his or her production or inventory of the same commodity. -Broker: A person paid a fee or commission for acting as an agent in making contracts or sales. To place hedges or to buy & sell agriculture options you should consider having a Broker who is familiar with these transactions and can advise you. We recommend Phil Clifton. Phone: (731) 479-1942. -Margins: There are two types of margins Initial and Maintenance. Before a producer can enter into a hedge position, he or she must make a deposit of “good faith” this is Initial Margin. The second type of margin is Maintenance Margin which is often referred to as “Margin Call”. When the market mores against a futures position, a deficit occurs in the brokerage account. The broker makes a Margin Call to the producer, requesting an additional deposit of maintenance. In order to continue holding the position, the producer must send the deposit within a short time or else the broker has the authority to cancel/liquidate the position. With a perfect hedge, the parallel fluctuation of cash inventory value and futures account balance produces offsetting gains and losses that fix a preetablished price at the termination of the hedge. A perfect hedge only exists if the basis doesn’t change. It is beneficial that the basis improve. It is detrimental if the basis widens. *”Margin Calls” generate personal agony. Obviously, hindsight now tells the hedger that they sold crops at too low a price. Second, cash needed to meet margin calls can exceed available funds. (Does your lender understand the hedging process?) Due to disgust over hedging at “low” prices, or inadequate financing, the farmer cancels the futures position at a loss. Invariably, price will turn the other way and begin to fall; but it is too late. The price protection the farmer sought is gone. Sold-out hedgers end the experience with a realized low price for their production and a loss in their futures account. They forever tell the story of “losing their shirt” in the futures market and repeat a vow never to “gamble” again by “speculating” in commodity futures. Their unwillingness to ride it out and finance the margin calls shows they are actually saying that they do not understand the purpose of futures trading or the mechanics of the system. To use futures effectively, farmers need to understand the offsetting gains and losses that are occurring in two markets due to parallel movements in cash and futures prices. Hedgers must also be aware of basis changes.